Here is some information on the "Blue Peak" fountain pen that VPC member Derek L. brought to our meeting last week (our topic was Non-Parker British fountain pens). I truthfully didn't expect to see any fountain pens made in countries other than England, so it was a nice surprise to see this Welsh pen show up. This pen was made and exclusively distributed by Copigraph Ltd, Treforest, Glamorgan, Wales. 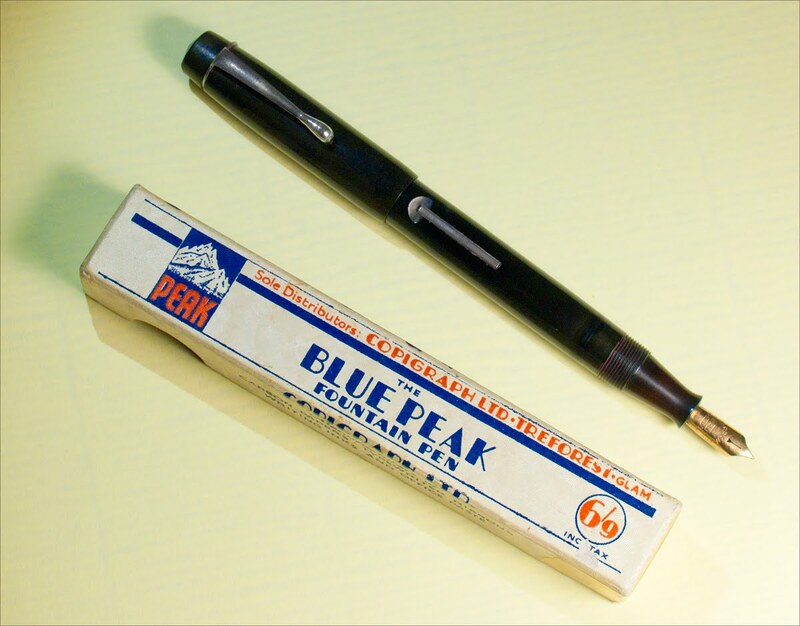 It is made of Hard Rubber and has a 14ct gold nib. Treforest is a small town in Wales with a current population of around 5,000. There is a photo of the Copigraph factory, taken in 1976, posted on this page.